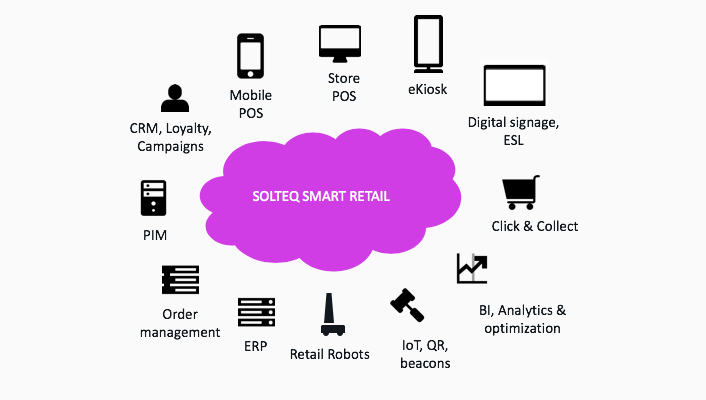 Solteq has launched Solteq Smart Retail, a cloud-based suite that enables end-to-end retail digitalization strategy execution. The suite consists of the best solutions in the retail industry, which improve customer experience and provide the merchants with a 360-degree view of their customers and business through sales, campaigns as well as product management and positioning. “We want to offer our customers easily accessible next generation retail solutions. The suite simplifies retail customers’ capability to manage their digital end-to-end development and enables better customer behavior understanding,” says Ville Taka, Head of Smart Retail Program, Solteq. The suite is compatible with all digital channels, such as e-commerce and applications, and therefore increases the customer reach by providing individual information about campaigns and products. At the same time, it helps to ensure that the prices and balances are correct in all the channels. “Solteq Smart Retail brings together our broad offering and showcases our comprehensive industry know-how. It is a combination of our experience in traditional retail as well as new innovations, such as AI and robotics. The suite supports our journey in becoming the leading retail digital solution supplier,” says Ilkka Brander, EVP, Core Business Solutions. Solteq Smart Retail suite is based on monthly pricing ”as a Service” model with comprehensive support services. Our team and our robots are presenting the Solteq Smart Retail suite at Tulevaisuuden Kauppa event 10 October at Messukeskus, Helsinki. Come talk to us about how we can make your business smart.